The American series Glee is a successful project of the television industry. The film received many awards and nominations and became a good start for young actors who appeared in it. Although Dianna Agron played the leading role, she was the last primary actor to be cast. Thus, she hit the big time. According to American sites, Agron's ancestors were Jewish immigrants from Russia. Her parents, Mary and Ronald, often moved, so the girl, who was born in Savannah, spent her childhood in San Francisco and San Antonio. Dianna has a younger brother, Jason. Her father worked as a manager of Hyatt hotels. When Dianna was 15 years old, her parents divorced. 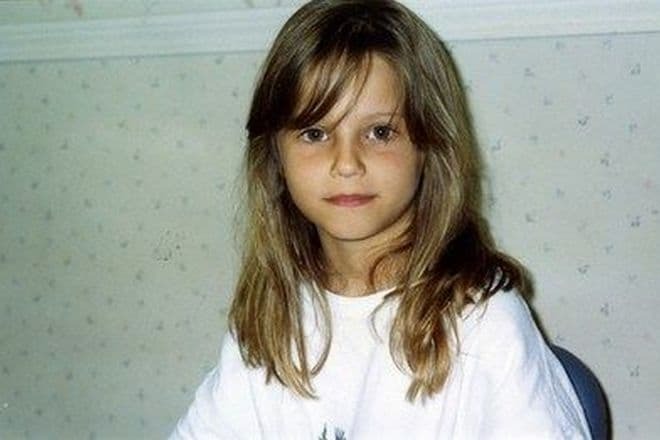 Since early childhood, Dianna has shown her acting skills. When she was very young, Agron began dancing, focusing in ballet, later she mastered hip-hop, even moonlighting as a dance teacher. Agron liked to perform on stage. At Burlingame High School, the girl performed in theatre productions. Besides theatre, Dianna was involved in set costumes and design. After graduating from the school, Agron went to Los Angeles, believing that she would achieve the stardom in cinema. Dianna’s first acting experience was little-known episodes of television drama series Heroes, CSI: NY, Shark. She got the leading role in the drama TKO. When she played in Veronica Mars, Agron met Kristen Bell, who was the idol of the beginning actress at that time. Kristen appreciated the partner in the film, and said that Dianna was "mysterious, friendly and unconsciously graceful." Later, Agron starred with Bell in one more film. It was the musical drama film Burlesque. Cher and Christina Aguilera appeared there as well. It comes as no surprise that Dianna is Taurus because she tenaciously and patiently attended casting calls. Finally, she met the casting director of Fox Studios and went to the set of the series Glee. At the audition, the actress decided to stand out from the crowd and sang a jazz song, whereas the others performed popular singles. The directors planned only a few episodes with the participation of Dianna, but thanks to her brilliant acting the heroine became a regular character. Later, Agron’s heroine turned into the pet peeve of the series due to her immorality. Dianna recalled that rehearsals, dancing, recordings lasted 16 hours, as the actors sang live in front of the camera. The lip-synching was inappropriate because the singers had a strained facial expression while singing. The actress remembers the participation of Gwyneth Paltrow in the film. According to Dianna, the Hollywood star is an ideal woman, who manages to combine the happy motherhood and a successful career. 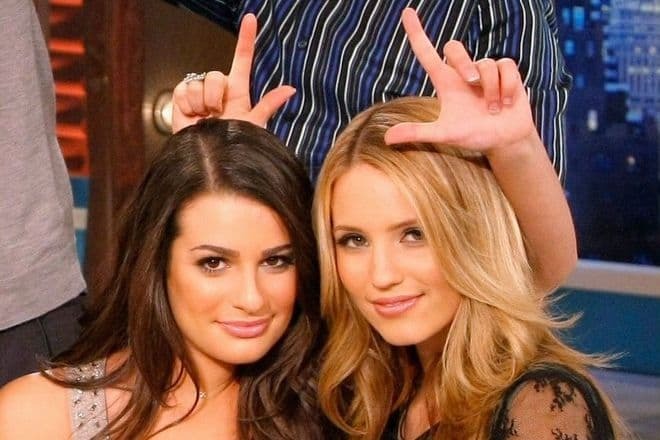 Dianna lived next door with Lea Michele who performed the role of her rival. Michele told in the interview that girls turned into enemies at work, but they cook cookies together at home. In 2009, the actress made her debut as a screenwriter and director in the comedy A Fuchsia Elephant, where she also played the leading role alongside Dave Franco. The film was not on general release. In 2010, Agron met Steven Spielberg at a charity event. The producer said that he was interested in the participation of the young actress in the fantastic action movie I am Number Four about aliens who lived among people. While filming, the girl got acquainted with Teresa Palmer, Alex Pettyfer, and Kevin Durand. Three years later, Dianna played with Michelle Pfeiffer, Robert De Niro and Tommy Lee Jones in Luc Besson's crime film The Family. Later, the girl starred with her colleague Chris Messina in the music video for Sam Smith’s song “I'm Not the Only One." 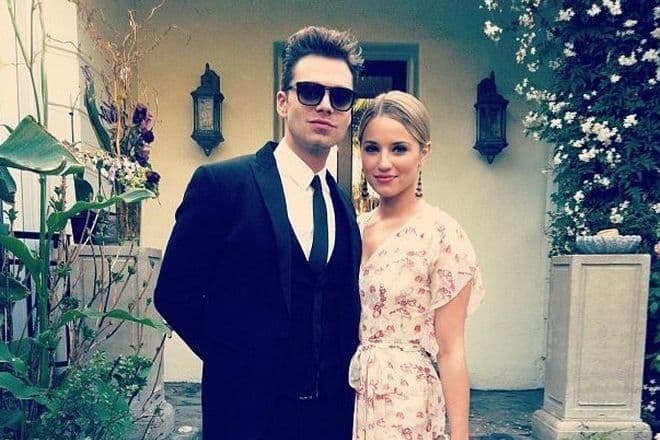 Dianna portrayed the lead singer, Brandon Flowers, in the video of Just Another Girl by The Killers. Agron played a sister in the drama Novitiate, which touches upon the issues of the Catholic faith. On the contrary, the actress played a rude and aggressive character in the thriller Jekyll Island, which tells about cyber attacks on the American economy. If a reporter asks Dianna in an interview about her personal life, the actress immediately becomes reserved and provides an example of Lindsay Lohan’s biography. "She is amazing, but you can see what happens when people know too much about your personal life. They cannot perceive you as a professional. I do not want anything like that in my life." Therefore, Dianna's Instagram page is not a very good source of information. There are professional photos, those from the set or friendly parties. There were rumors about Agron's relationship with her partner, Alex Pettyfer. The actress just joked about it, only adding fuel to the fire. According to rumors, the reason for the separation of two stars was the arrogant character of Alex and his pathological jealousy. After all, the slim blond woman with a height of 166 cm and the weight of 53 kg poses for glossy magazines and advertising brochures. Later, Sebastian Stan, who plays the Marvel characters, said he was in love with the heroine of Glee. The young people appeared at public events several times, but six months later the love affair ended. She also dated Australian actor and director Thomas Cocquerel and Josh Hutcherson from The Hunger Games. The actress met her future husband in 2015. Dianna's boyfriend was Winston Marshall, a member of the indie folk band Mumford & Sons. The couple celebrated the wedding in Morocco, in the romantic hotel Beldi Country Club for three days. The celebration was in oriental style with camels, sofas, and carpets. Agron switched to strength training from her favorite ballet. The actress does not keep on sophisticated diets, adheres to a vegetarian diet and drinks a lot of water. The girl has a rule about food. The dishes made from different products should not be on one plate. Dianna supports PETA, the movement for the protection of animals, and advocates for the rights of sexual minorities participates in charity campaigns to raise funds. In 2010, People magazine named the actress one of 100 Most Beautiful People. Agron is a fan of Tim Burton and Radiohead band. Dianna got the leading role of a girl who took custody of her brother-hooligan in the detective thriller Hollow in the Land. The guy gets into a mess and is accused of murder. The sister starts her investigation, but she needs to find her brother first. In early 2018, Dianna appeared with Katie Holmes and Nicky Hilton at the Carolina Herrera show during the New York Fashion Week. Shortly before the show, the issue of Harper's Bazaar was released with Agron’s photoshoot. In the summer of the same year, the actress’s filmography has included the drama Berlin, I Love You. The film tells several life stories, and the main characters are Helen Mirren, Mickey Rourke, Patrick Dempsey and Keira Knightley.